This week I tested the waters on Facebook for a bold new view I'm taking with private and public managed landscapes (gardens, right of ways, parks, businesses). This is where I started: daylilies and hostas, along with much of their ilk (visit Home Depot), are pointless, wasted plants in gardens. I don't want to see any more of them ever again. They are bupkis for wildlife and are overplanted. Neighborhoods of hosta are like McDonalds on every street corner -- homogenized, dull, empty calories. Gardening is a moral act. Gardening is an act of learning about your local ecosystem, getting in tune with it, and gardening / living on a higher level -- a level of connection we work hard to sever in our managed landscapes; native plants can mend the break as local ecology is witnessed. The American lawn is supposed to be a bridge between what is yours and what is mine, creating a democratic, equal playing field among people. But what lawns do -- what standard / overplanted non native plants do -- is dull our senses and provide almost nothing for wildlife when compared to native plants. I have butterfly bushes (I shouldn't, and I might not for much longer), and when the mountain mint, coneflowers, asters, joe pye weed, and goldenrod are blooming the insects bypass butterfly bush; I'd say for every one insect on butterfly bush, there are 30 on native plants. I have seen two butterflies in my garden so far this year. Two. A red admiral and a sulphur. With the garden coming on now in its summer flush, I still see a massive lack of insects, even compared to last year when it rained about an inch over three months. This is a profound crisis we seem blinded to or dulled by. Without insects we lose one out of three bites of food we take, and up to 70% of what's in the grocery store. You've read about massive die offs of bees. If you care about your children not being stung, you should care about them having something to eat. Personally, I don't want a full time job hand pollinating crops like they do in China due to lack of bees.We should probably stop plowing up the last marginal prairies, destroying bee / wildlife habitat, and planting corn the government subsidizes whether it fails or not. Gardening is a moral act. 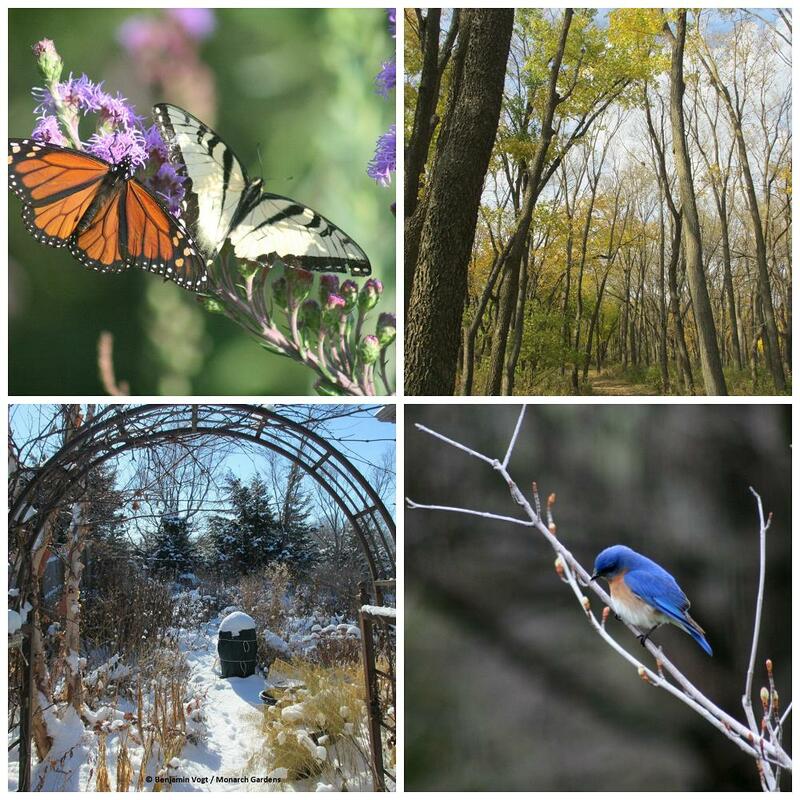 Gardens are wildlife refuges. I don't see insects nectaring on hosta or daylily too often, and I most certainly do not see leaf damage -- a sign that bees are making nests or caterpillars are using them as host plants. Do not forget that we aren't just talking about sources of nectar, we are talking about raising insect babies. Plants from China or Russia don't work. Indeed, some cultivars of natives don't even have pollen (check out the front cover of the current Horticulture magazine). I believe any new landscape should use 100% native plants from that locale. We have ripped up everything. We have remade "nature" into something that relies on us to survive. We have no choice but to manage our landscapes lest they fall apart into perceived chaos because we've imposed our will on the planet. Let me tell you what a non native plant is to me: it's manifest destiny. It's cavalry riding into a Cheyenne village and wiping them out to pave way for settlers who unzip the prairie and plant rows of wheat and corn. It's blind hubris and a lack of will to understand other cultures. America's history of eradication is subversive and thorough, and to talk about it causes alienation (like I imagine is happening right now). We still don't have equal rights for humans, so maybe I shouldn't hold out much hope with equal rights for plants and ecosystems -- even if those ecosystems literally keep us alive. We can't deny our own evolution -- we need this planet as surely as a bumblebee needs a baptisia or penstemon and an environment free of pesticides and gmo crops laden with pesticide pollen. The argument that I often hear is native plants are limiting. First, there are over 7,600 native plants in North America, so stop sounding like a teenager who is bored by everything. Second, exotics are limiting; they are limiting for wildlife, and they are limiting for low maintenance gardening. The right native plant in the right place doesn't need fertilizing or spraying or supplemental water in a normal year once established (prairie plants go dormant in drought -- pretty darn smart). You can argue this point with me to some degree, but my 1,500' garden out back will fight you for it. Come look at it if you like, especially as I slowly take out the remaining non natives. Gardening is a moral act. It is no longer just about aesthetics. If we combine morality and aesthetics we have prairie. Or forest. Or desert. Or wetlands. A wildlife refuge. Whatever your pleasure. 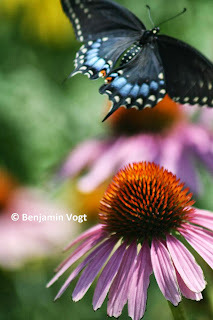 I refuse to compromise any more -- we need 100% native plants in new landscapes. There is no time to wait. We need cleaner air, water, and fertile soil. We need less crap in our bodies causing learning disabilities, early puberty, disease, etc. We need insects. We need birds and amphibians that feed on insects. We need food. We need nature back. In the 21st century we need to at least try and right the wrongs of our culture's narrow vision of excess and greed, a culture that discounts the world out there and works hard to deny the connection of our flesh and blood with that of a bird's, a bee's, a flower's. This may be one reason we're so depressed and prone to violence. We are all the same star dust, products of supernovas. This planet is so unique we can't even find another one like it. So if native plants are limiting, if native plants are weeds, if native plants aren't as pretty, than we have no right to call the shots. If you want to have a peony or hosta to remind you of your mother or father, go for it -- but why not start a new tradition where some day your child plants a milkweed in honor of your memory. Why not take the leap and make a difference in whatever small spit of land you have -- especially if no one else will. Planting a native species aster is like calling for an end to genocide or racism. Democracy and freedom is "limiting" yourself to native plants, plants that will connect yourself to the ecology and world around you, in the end wake you up to the miracle of built-in, redundant safe guards in nature, and erasing our nihilistic eradication of that redundancy. I want my country back. I want my prairie. Final point anticipating a deluge of angry notes: I do not advocate totalitarian law forcing people to use only natives. Talking about using more natives in gardens oddly develops into an argument akin to saying we shouldn't allow immigration or discussing the merits of abortion or lethal injection. I will not stand with a gun pointed to your head and say "Plant milkweed or your family gets it." I'm saying gardening is a moral act, and driving through my neighborhood, our morals our way off base. 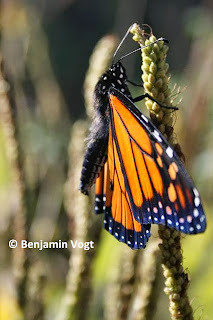 We keep planting exotics (not knowing when or where they may become invasive), mismanaging landscapes, mowing down butterfly habitat on highway edges, spray spray spray, and just assume the planet will take care of us no matter what we do. Right. We can't think like that any more! And you know it. Planting mountain mint and New England aster is saying hey, I won't go down like this, I see the planet, insects, wildlife all on equal terms and necessary. I see ecological redundancy that keeps me alive and I want it to stay intact. I'm tired of monoculture that can fail in a heartbeat due to disease or weather. I'm tired of being poisoned. I'm tired of not feeling like I belong. Using native plants is the tip of the iceberg I'm talking about here, the very beginning to healing and understanding. The issues are much larger, much more culturally based, much more spiritually based. I've lived these changes. I want you to see that. And I'm darn tired, no damn tired, of the high maintenance non native landscapes requiring massive carbon and chemical inputs. I'm tired of the fallacy of a perfect lawn. I'm tired of the buying into of commercials with western film music while a guy "shoots" weeds from a RoundUp wand "holster" on his hip. It's time to do a lot better. Now. If I have kids I want them to have a planet somewhat similar to the one I'm screwing up for them. This is our last great chance. Gardens are a moral act. Native plants (and more natural management of them) are one huge way to right our wrongs -- and facing those wrongs is never easy because we have to admit our mistakes, which is why talking about natives creates such backlash and knee jerk reactions, particularly from established landscapers and land managers. Gardening for nature with natives is a moral act, it is not passive, it requires our full awareness and risking who we are and want to be. This is how great, good change begins. Link here to read Part 2, my response to criticisms and suggestions. And here I am saying it all as clearly as possible, via butterfly bush. I could not agree more, even though I have a few non-natives that my bees find useful and I don't have the heart to rip out simply for the fault of being bought before I knew any better. rant on Ben! I agree 100%! I'm happy to listen, within limits. Those limits being that lavendar is not native here but the butterflies and bees sure seem to love it; do I have to throw it out? How about my beloved roses; are hybrids not allowed even though R. arkansana grows in the prairie next to my garden? Where do you stand on new cultivars of Echinacea (setting aside that most of them are aesthetically hideous)? The more I think about your rant Benjamin, the more I wonder about how far to take your thoughts. If a moral garden should be only "native" plants, why garden at all? Doesn't nature here in Kansas and Nebraska know the best percentages of forbs and prairie grasses? Wouldn't it be better just to plop our houses down in virgin prairie and let nature handle the landscape? Or better yet, just keep the houses out of it and confine us to high rises with small footprints? Or eliminate the humans? That's a steep slope we're on the edge of. On a more reasonable thought, I'm letting the prairie grass grow and encouraging forbs, but I hand-cut down the thistles in that area. Is that immoral? It's only a steep slope if you like hyperbole and aren't concerned about the health of the planet and what we're doing to it. To some degree, yes, we should step back, but our hand is no into EVERYTHING we can't do that anymore -- that's we have to restore and manage prairie, even prairie is a garden, even if it's thousands of acres. The definition of a garden is human artifice and interpretation of nature, but in that context our gardens should used native plants in ways that please us aesthetically. Of course, there's no greater pleasing aesthetic than a virgin prairie reaching toward the horizon, but it hardly exists anymore. If we are going to have suburban sprawl with flower beds, those beds should be using natives. Besides, we're talking about are freaking health and survival as a species, I mean, HELLO. In some areas (MN I believe) you have to replace every tree you cut down when you build a house with a new one. OK, I get the message. I am wondering about a compromise--let's leave our non-native day lillies intact (and my lavendar that I love) but from here-on-out I will seriously consider planting native-only plants. Yes, I love the native plants of the prairie. I even have 2 acres of land to "play with" but my problem is how to convert 2 acres of lawn into 2 acres of prairie when I live inside the city limits and don't have much legal weight. Also, the cost of doing that kind of conversion is very expensive. I have been told by city officials that anything over 6 inches of "grass" is illegal and is a "nuisance". How do I get past that kind of draconian thinking. It's not just about planting native vs non-native, it is about what I can do in my yard that will not get me fined or dragged into court. We need a supreme court ruling that lets me plant what I want in my yard. Do you know any attorneys that will take on a "property rights" issue? Thank you Ben for your passion. We need more of this on all envrionmental levels. DG--We can compromise if you go native from now on (because I then know that someday those nasty, boring daylillies will come out). I think 2 acres would be inexpensive to convert -- till it up, or spray it with RoundUP, then till and seed. Bam. A few hundred dollars at most? Lincoln's 6" weed ordinance is insane, but I heard of someone going through and naming every "weed" in their front yard, and having done so, convincing the inspector that it was not a weed patch. Lincoln, like many cities, isn't as progressive as they like to think or want us to think. Last year's drought should've waken us up to different landscapes, adaptable ones, but oh no. Let's keep those lawns we never use green, and how DARE you tell me when I can and can't water my ecological dead zone. Some will argue that a garden planted with native plants is not a garden at all but a meadow. Since a garden is a human artifice, each human ought to be free to decide what to grow. Your rant, while noble, sincere, and well meaning, is an opinion that is not universally shared. If I were to use native plants to the extent that you suggest, I would lose all of my urban garden clients who, rightly or wrongly, consider most native plants to be messy weeds. Allen--I knew you would take issue with this post. :) Look, again, I am not MAKING ANYONE PLANT NATIVES. I am not STANDING WITH A GUN TO YOUR HEAD. I am saying WAKE UP to the environmental destruction we have caused, and let's try to fix this while we can. If you think that's a wrong thing to advocate for, I honestly pity you (not you Allen, a general you). And I'll tell you plain, your urban clients are dead wrong. That's how I feel because we are out of time with climate change and in the 6th great mass extinction. 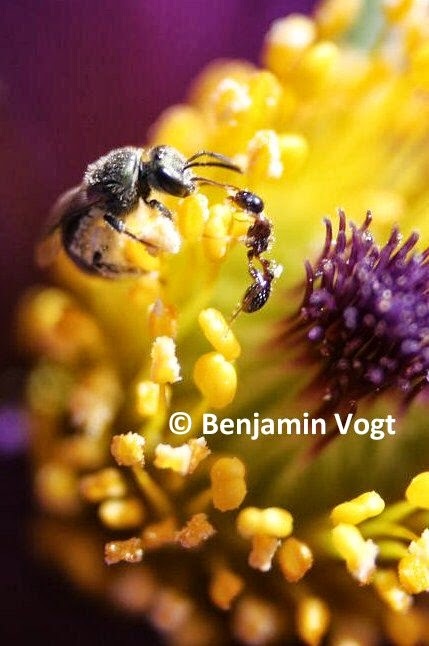 We don't know when an exotic may become invasive, and it is PROVEN that natives support insects (Doug Tallamy), through nectar and leaves--all about evolution. If you don't want food, plant your hostas and roses. My post is not only well meaning, it's an urgent cry to stop living how we live. If planting with natives is a meadow, well amen to that, because we plowed up most of the meadows. I am trying to debunk natives as weeds, Allen, and surely you know they are not weeds -- surely you try to educate your clients on informed choices to help wildlife. Surely. We need to shake the boat, we need to rock this world, we need to scream about ecology and how it works, because very soon we'll all wake up wondering why we can't live like we did yesterday. The time for being gentle is way past, because the system that should work to make change does not work, is glutted with special interests bent on greed and power (Monsanto, DOW, TransCanada). And as I think I said in an above comment or in my post, we have no choice but to garden -- we have so manipulated this planet we have to garden just to get the prairie back, or rainforest, or marsh, or what have you; and that will cost a ton of money. You are in a unique position to educate your clients as to the benefits of native plants—both aesthetically and ecologically—a position all the more crucial precisely because this view is not universally shared. I agree 100%. Plant hyssop in place of lavender. Plant sedges instead of turf grass (turf grass is a scam for your $). Plant only native coneflowers - the hybrids are ignored by insects. The Eurotrash, largest invasive species, destroyed indigenous people who knew how to respect the land and work with it. Eurotrash brought their weeds with them and we have been going downhill since. By the way, this blog is not compatible with all browsers. One of the questions I would raise is how a plant is determined native. Is there a master listing? Benjamin, I think there should be other criteria as some non-natives are quite adaptable to our landscapes and can be used. I have problems with monocultures and pave everything over mentalities. Part of the challenge of getting gardeners to look at prairie plants is that historically many immigrants that settled here came from forested areas, and didn't appreciate the prairie. That is also evident in today's youth, it is a real challenge to get them interested in prairie. 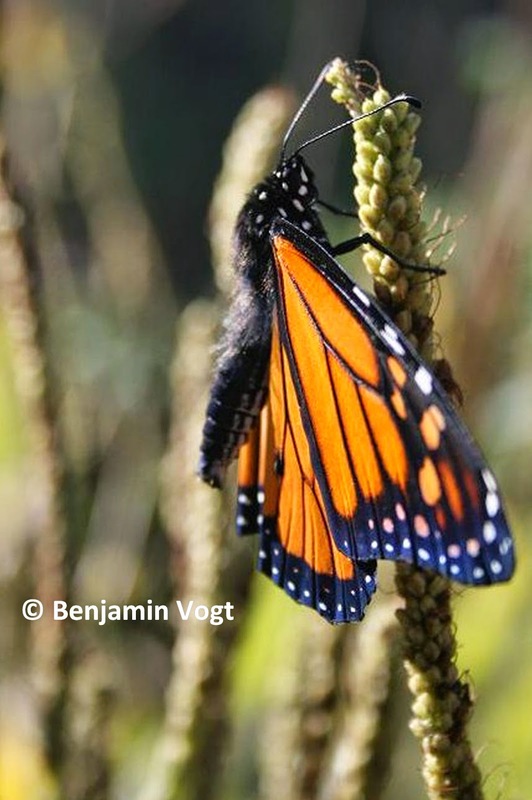 Butterflies and other pollinators are not plant bigots. Humans are. With few exceptions, non-natives attract the most bees and butterflies (e.g. 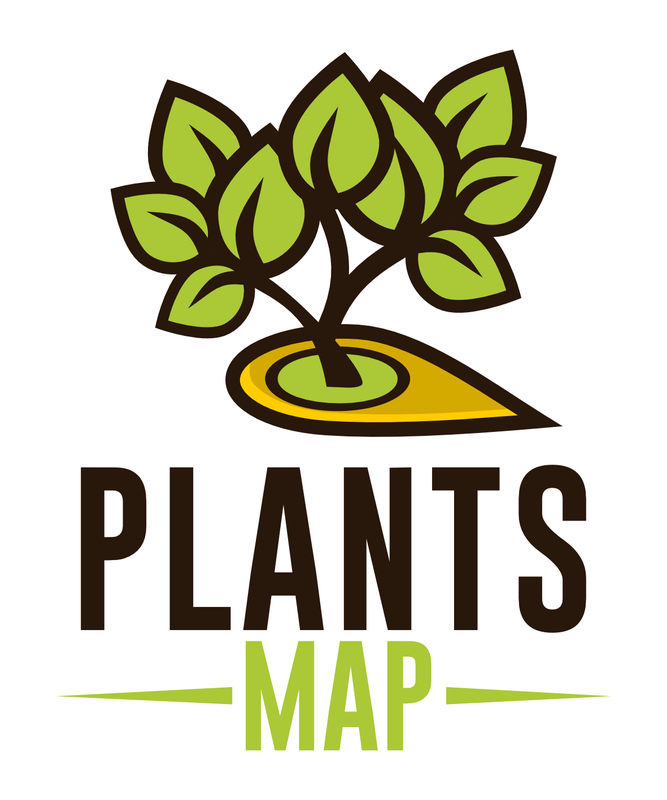 alfalfa, red clover, buddleia bushes, Vitex trees, english ivy, Daisytree and many more. Some humans refuse to accept that basic biological reality. So if bees and butterflies could talk they would tell us the current "natives only" fad is yet another thorn in their side. Time to stamp out plant bigots and elitists - their the modern day equivalent of the KKK. Anonymous, you've taken a careful argument and gone off the deep end. I specifically anticipated and spoke to a comment such as yours toward the end of my post, but you seem to have gone from 0-100 and ignored it in favor of a knee reaction. This has NOTHING to do with racism or bigotry. And you've failed to miss my point -- native plants aren't just for nectar, but also for caterpillars. I don't see monarchs or swallowtails or regal fritillary. laying their eggs on any of the plants you mention. Please note that without native host plants, it doesn't matter what you plant for adult nectar, as there will be no insects to nectar. There's your biological reality, especially as 30,000 square mile of marginal prairie has been plowed up in the last 6 years, a rate exceeded the pace set prior to the dust bowl. Ben, I heartily agree with most of your rant, but you pose two points I take issue with: RoundUp? Really? You may want to look at some recent research about this noxious pesticide's pervasive nature and the damage it brings. And yes, the planet is already seeing the need for hand pollination in the absence of honeybees. But as much as I love honey and honeybees, native bees are far more effective as pollinators, so it's those we need to house, nurture and protect in our landscapes. Honey is a crop. In California and in many other areas, honeybees are dragged around annually for hundreds of miles on flatbed trucks, for a premium price, to provide pollination. Why? Because the honey as byproduct is valuable, exotic, non-native, delicious, and because agri-food can afford this luxury of buying pollinator services. 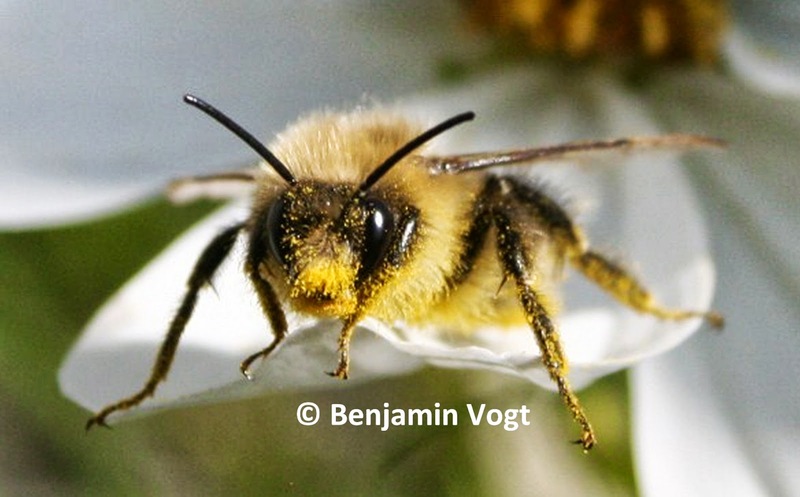 I keep bees, eat honey and pollen, use beeswax, and plant and plan for both natives and nonnative bees. My garden includes edible flowered, fragrant daylilies (solely), hybridized coneflowers (which are visited by many insects, but not nearly as many as my native echinacea, which I DO like), and four large species which were on the property when we bought it: laurel, crepe myrtle, holly, and American chestnut. Initially, I planned to remove the first three, but I'm relieved my energy stretched short of that plan: between the holly and the crepe myrtle, honeybees have both very early and quite late forage at times when little else is available. We started hacking back the 15' laurel in preparation for its ultimate removal, and found when it flowered prolifically after renewal, zillions of native bees as well as many other insects on it. An American native, but certainly not to the west, our chestnut tree is a 21' diameter girth veteran, planted by one of the property's first recorded cultivators in about 1900. Chestnut honey is a smoky, complex delectation. The presence of these large exotics has certainly enriched the bee forage in our little corner. Would the landscape be better off had we ripped them out? Perhaps. I don't think that's your argument, and I fully support planting natives in new gardening endeavors. I propagate many natives for use as hedgerow plants in our small city and countryside farms, just to assure pollination and habitat for all native creatures. Awareness of the effect of natives on the insect community is paramount, and each of us changing some of what we can would be huge. Anon--hey now, I preach the value of native bees over honeybees every chance I get! They are far better, and the whole native plant / habitat thing is with a nod to them. Yes, RoundUp is awful, and trust me, I've read almost every article out there about it. I am very conflicted about it when we're talking the need for large scale renovation and starting with a clean slate. I am not yet at the point where, for large projects, I would say no to it. I would not use it near water. I do firmly believe our reliance on it and other chemicals in home landscapes is an evil myth perpetuated by large corporations. What defines "native" is location, location, location. For example, a watershed in California has a sunny side and a shady side. Naturalists collect seed for outplanting back to the source location, i.e., to the same slope within that watershed. The reason lies in the DNA of plants; plants of the same species have different DNA, because they evolved to handle specific environmental factors (global warming aside). So, planting local native plants helps preserve genetic variety within species and gives us the best chance of gardening success--with minimal inputs. This is the anthropocene era, because humans have disrupted the entire earth. If we are to leave a biodiverse environment behind us for future generations, we need to change the way we approach plantings, home building, and especially population growth/size/sprawl. 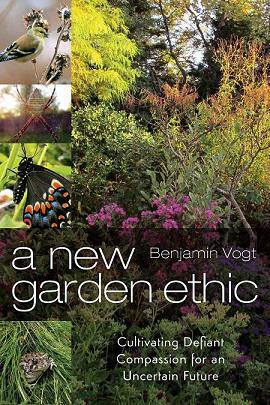 Ben, let us know how your all native garden comes along. Have you begun it and how much property have you? You certainly have a passion for this and you should not be discouraged from planning and creating your all native garden. Will you do updates on it? Sue, you can see pictures of my 1,500' 80% native garden in the top right corner of my blog -- just click on the link that says pictures of my garden. It's 6 years old this month. The next garden I have will not use nearly as many cultivars and will be 1/4 to 1/2 acre in size. Sue, http://deepmiddle.blogspot.com/2011/12/garden.html and then there's the timelapse video of my garden also in the top right of my blog under the picture link. Thank you Benjamin for being a fellow ecological warrior. Let us leave foodways and beescapes in our wake. Love the discussion! Quite civil, really. I started converting to natives the yard of our 100 yr. old home in So. Cal. when we moved here in 1998. It has been a slow but worthwhile process. Maybe I could have gone faster but I prefer gradual - always with my eye on the prize: more life in the suburban garden through the development of healthy, appropriate habitat - coastal sage scrub and oak woodland, for me. One comment that I did want to respond to was the one about using native plants with a formal garden design. Yes it can be done, I suppose, but we need to think about our goals. If our goal is to produce habitat, messy is good. Not ugly, just a bit messy. Insects, birds, lizards, etc. need some dead wood, thatch, etc. I would love to snap my fingers and see all yards and gardens become native habitat but it ain't gonna happen. Having been involved in native plant horticulture for the past nine years I am resigned to a gradual approach - just hope we can move forward quickly enough to make a difference. I am in the process of converting my Silicon Valley home from the grass lawn that came with the house to front and back yard gardens that are based on California natives. The gardens are so much more interesting and so much more colorful! In addition, the landscape design (which I did myself) reflects my sense of art: color balance, variety of textures, wildlife interest (birds, butterflies and helpful insects) and attention to the reality that our area gets very little rainfall. Only drought-tolerant California natives know how to stay alive without much if any watering. For those not won over by the argument that native gardens help preserve our planet through attraction of diverse wildlife, the savings by not running gallons of water over a grass lawn lowers your water bill dramatically. Thank you Ben for being a other environmental soldier. Let us keep Foodways and escapes in our wake. I enjoyed reading this and really would love to see more native plants in the landscape ESPECIALLY replacing lawns. Have you heard of the group The Wild Ones? They share your view, have been around for over 35 years although I have only recently heard of them. Check out their website if you haven't already. Thank you again, Ben! I'm spreading the word with 4 garden talks myself this weekend. GROW NATIVES!